The gang over at Hennessey Performance in Texas does some wild things to cars and trucks. One of the wildest things the company is known for is the Velociraptor 6×6 that takes a Ford Raptor truck and wildly modifies it to include an extra axle, giving it a pair of extra wheels for 6×6 offroad action. Rapper Post Malone took delivery of his unique Raptor 6×6 not long ago. 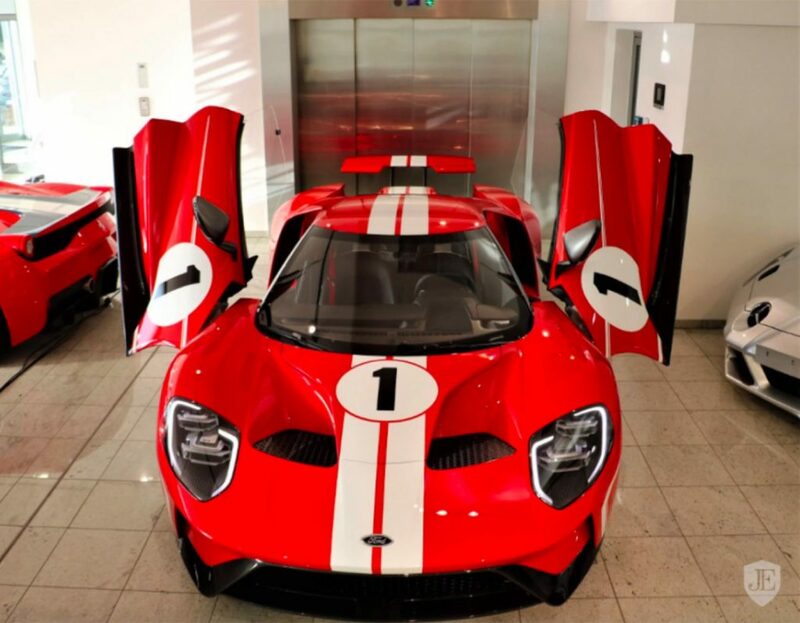 The owner of Hennessey Performance, John Hennessey, should know a thing or two about the Ford GT supercar, he owns one and offered up an unboxing video of the car’s unique ordering kit back in 2017. With Hennessey owning the company famous for buying Ford Raptors, and ripping out the EcoBoost V6 under the hood and cramming in a supercharged V8, you might wonder what sort of debauchery Hennessey would get up to with his personal Ford GT. If you were hoping for a Raptor-style engine swap, that won’t happen. There isn’t enough room in the engine bay of the car for the V8 to fit; we’d wager Hennessey isn’t just guessing and had eyed an engine swap for his car. Hennessey also pointed out that the design of the GT bodywork, which is meant to add to the car’s aerodynamics, is part of the reason the V8 won’t fit. Hennessey noted that putting a V8 inside the vehicle would require extensive modification to the bodywork of the car, and Motor 1 reports John Hennessey said he wouldn’t cram a V8 into the Ford GT even for a million dollars, despite having admitted that a V8 could make the car better. Better is a matter of opinion, the EcoBoost V6 that Ford uses in the car produces 647 horsepower and 550 pound-feet of torque and was chosen to help Ford win Le Mans. Sadly the Ford GT lost at Le Mans in 2018, in part due to mechanical problems. It didn’t win Daytona last weekend, either. Shane is a car guy and off-roader on a mission to hit every Jeep trail in Colorado while trying to figure out why his dog prefers rocks over tennis balls. And this, once and for all, answers the question which has been asked by every doofus car nut: Why didn’t Ford use a V8?